HELENSBURGH Parish Church, which has stained glass windows dedicated to the inventor of television and a former British prime minister, is undergoing a near £300,000 makeover. The project at the B-listed former West Kirk in Colquhoun Square follows awards of £190,000 from the Heritage Lottery Fund and Historic Environment Scotland. Damaged and uneven stones in the vestibule floor will be replaced and some electrical works will take place, as well as works on doors. A number of the stained glass windows have been removed for restoration. They include one commemorating former prime minister Andrew Bonar Law and another television inventor John Logie Baird. 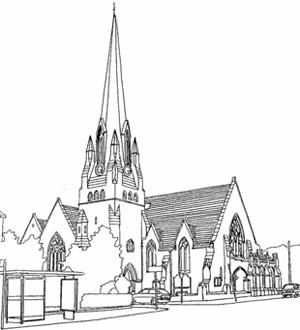 The Rev David T.Young, the minister, said: "The restoration work currently taking place, together with the new church halls, will ensure that members of the Church of Scotland in Helensburgh will have an appropriate place for worship for many years to come. "There will also be improved heritage information, including audio-visual material and via the church's website, and new open days and tours, with the involvement of schoolchildren and volunteer guides."